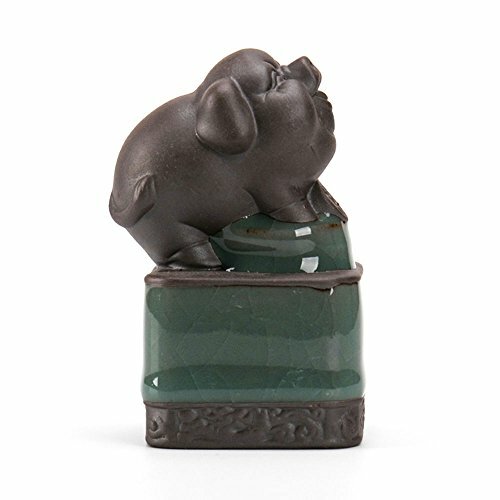 Most Chinese tea pets are made using clay, also known as zisha or purple clay. By constantly pouring tea over the teapet to nourish it, zisha will absorb the tea and its surface will gradually become smoother and shinier, and also retain the fragrance of the tea. This is why most tea lovers keep a tea pet for their collection alongside their gongfu tea set. Tea pets are often molded into Zodiac animals or Chinese mythical creatures such as dragon and phoenix to symbolize good luck, fortune and happiness. Click "Add to Cart" in the top right-hand corner to get yours now. If you have any questions about this product by YizenCulture, contact us by completing and submitting the form below. If you are looking for a specif part number, please include it with your message.